The United States Department of Agriculture recently issued results from a study that analyzed the prevalence of food insecurity within the United States. The study analyzed two different periods of time: 2006 to 2007 and 2007 to 2011. These periods equate to the pre and post economic recession respectively. The results of the study revealed that during the economic recession, rates of food insecurity amongst children reached 10 percent, an increase of 1.7 percent during the years 2006 and 2007. Furthermore, the results of the study showed that food insecurity has increased within households with working parents, and even if one parent holds a college degree there was still an increase in food insecurity during the years 2007 to 2011. When working families are unable to provide enough food to the table, the system is broken. To prevent families from falling through the cracks, we must take proactive measures. This is the goal of Revision: to provide for those whom the system is no longer able. When we think of food insecurity, we often imagine underweight children and adults. However, in the United States, food insecurity often presents itself as an excessive intake of calorie-dense foods relative to foods that are nutrient-dense. This occurs for several reasons, but the main factors are price and the proximity to grocery stores. 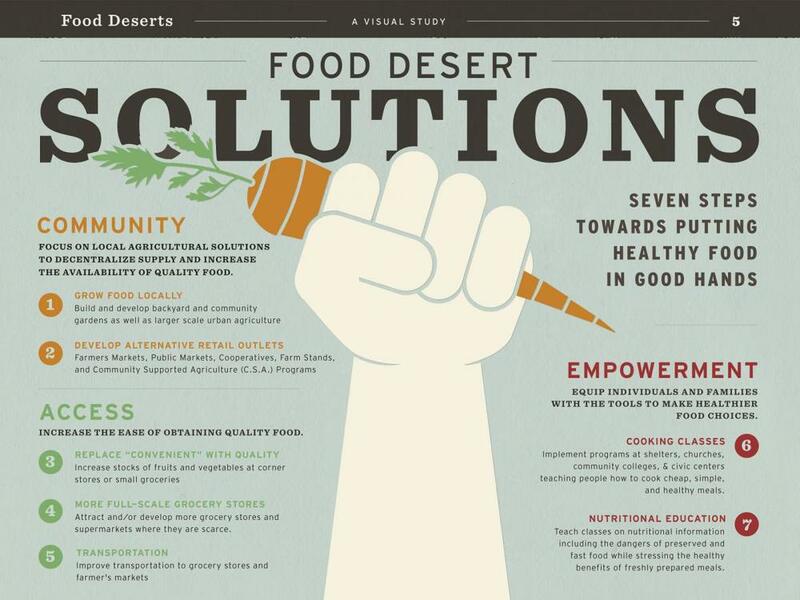 At Revision, we work with the Westwood neighborhood, a food desert by every definition. In areas such as Westwood, food insecurity, obesity and related chronic diseases are prevalent. In order to alleviate the problem of food insecurity in Westwood, Revision has developed a system of urban agriculture that meets the nutritional needs of Westwood by empowering families to grow their own organic produce. With over 200 families participating in our backyard farming program and two urban farms, Westwood has truly seen an increase in food security. On average, a family participating in our backyard program produces 110 pounds of produce--this results in substantial savings at the grocery store for these families. For those who participate in our community urban farms, each member takes home about ten to twelve pounds of produce per week at a cost in between $15 to $20. Clearly, at Revision, our methods of food production increase food security and reduce the costs for nutritious foods. Urban agriculture is key in increasing food security in the U.S., and Revision’s success testifies to the fact. Newer PostFrom Your Garden to Your Neighbor's Plate?